Stand-up paddle boarding was declared an official Special Olympics sport in Florida for the first time last year, has made its way to Pasco County. “It’s peaceful, fun, enjoyable. It’s relaxing,” athlete Christopher Cahoon said to the News Outlet, during a recent practice in Port Richey. Chip Smith talked with the news channel as well, prepping for the 800-yard competition, practicing a couple times a week. “I’ve done flag football, bowling, swimming, soccer,” Smith said. Twenty-nine counties are now competing in Special Olympic paddle boarding in Florida. 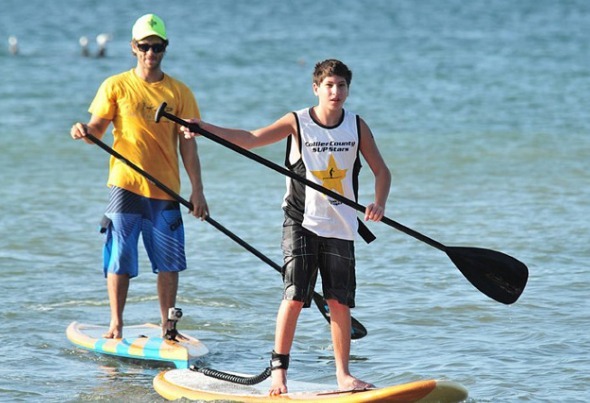 The first SUP competition of the year is this weekend in Winter Haven. For more information, contact Special Olympics Florida at (352) 243-9536.